The iconography of the Sacred Heart speaks to us on such a basic level that its image can be found everywhere in everyday life – from tattoos on bikers to stained glass windows in cathedrals. Traditionally, many Catholic homes display the Sacred Heart of Jesus to insure domestic peace and a loving atmosphere. This ancient concept depicting Christ’s heart in flames was first meditated on in privacy by the 4th century hermits in the desert and taken up by mystics in religious communities in the 11th and 12th centuries; it did not become a popular devotion until the 17th century. Since there is no way to physically depict the soul, it is thought that the image of the Sacred Heart comes closest. The heart is the seat of love in the body and the wounded heart represents Christ’s sacrifice at the crucifixion as well as His ongoing pain at the state of mankind. O Lord, Jesus Christ, to your most Sacred Heart I confide this intention. Only look upon me, then do what your love inspires. Let your Sacred Heart decide. I count on you. I trust in you. I throw myself on your mercy. Lord Jesus, you will not fail me. Sacred Heart of Jesus I trust in you. Sacred Heart of Jesus I believe in your love for me. Sacred Heart of Jesus, I have asked you for many favors, but I earnestly implore this one. Take it, place it in your open heart. When the Eternal Father looks upon it, he will see it covered with your Precious Blood. It will no longer be my prayer, but yours, Jesus. Sacred Heart of Jesus, I place all my trust in you. Let me not be disappointed. Amen. It is hard to find a Catholic church that does not have a statue of Saint Anthony of Padua. Also known as “The Wonder Worker,” he may be the most popular saint in the world. It was said that Saint Anthony was so infused with the Holy Spirit that he could stop the rain, raise the dead, reattach severed limbs, and have fish lift themselves from the water to listen to him. When something is lost, “Say a prayer to Saint Anthony,” is a common refrain. Like other saints known for their ability to control nature, he would be seen preaching in two different places at the same time. 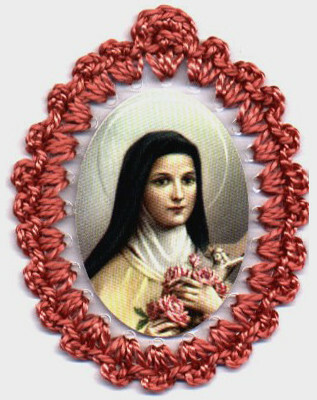 Greatly beloved in his own lifetime, he was canonized within a year of his death, the second quickest canonization in Church history. Though he has been dead for over 750 years, his cathedral in Padua attracts millions of pilgrims every year who feel such an affinity for him that they invoke him for help in both ordinary and extraordinary matters. A contemporary of Saint Francis of Assisi, Anthony was born Ferdinando de Bulhes in Lisbon, Portugal, to a noble family. Raised in the heart of Lisbon, he was educated at the Cathedral school. Against his family’s wishes he joined the Augustinian religious order, where he immersed himself in intensive study. Finding life at the abbey in Lisbon too social and luxurious, he requested a transfer to the city of Coimbra, then the capital of the newly founded country of Portugal. For the next eight years, he read every book in the monastery’s library and devoted himself to contemplative prayer. While serving as the doorkeeper in his monastery, he befriended a group of monks who used to beg at his door. Fascinated with their dedication to simplicity and poverty, he learned that they were from the newly formed Order of Franciscans. When the remains of five Franciscan martyrs were brought back from Morocco and installed in his monastery to great public acclaim, he was inspired to become a missionary and possible martyr himself. He got permission to join the little band of Franciscans and changed his name from Ferdinando to Anthony in honor of the great fourth-century monastic, Saint Anthony of the Desert, the patron of the little church where the friars lived. Intent on preaching the gospel in Morocco, Anthony arrived there with one other friar. His plans were dashed when he was stricken with malaria. After spending the winter in bed, he attempted to return home to Portugal but his ship was blown off course and he found himself in Messina, Sicily. While there, Anthony met a group of Franciscan friars who were heading north for a gathering of all Franciscans with their founder, Francis. Anthony accompanied them to Assisi, where he attended the famous 1221 gathering of more than two thousand Franciscans to celebrate Pentecost. This brand-new religious order was fast sweeping Europe by inspiring Catholics to return to the original words of Christ. When the meeting ended and the friars were disbursing, Anthony was assigned to the hermitage of Montepaolo in Forli, Italy. 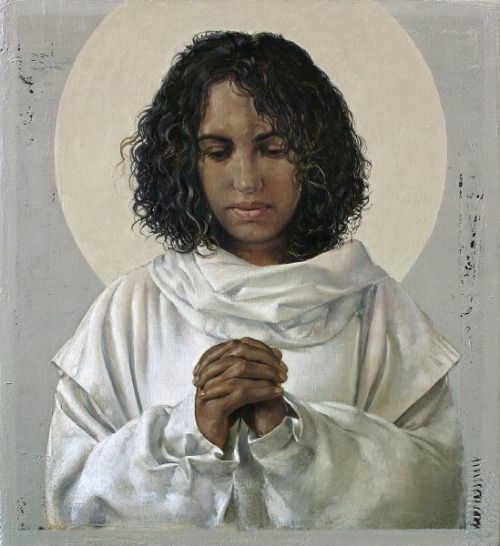 Many Franciscans came from the ranks of the uneducated and Anthony never mentioned his noble background or his years of learning; he only requested to study more. While at Forli, Anthony attended an ordination along with other Franciscans and several Dominican friars. It was discovered that no one had been appointed to preach. As his Superior’s polite request, for a speaker were repeatedly turned down, he turned to Anthony and ordered him to say whatever the Holy Spirit infused into him. At first shaky and shy, Anthony’s speech became strong and intense. In simple words, he was able to explain the most complicated scriptural matters. His audience was astonished not only at his incredible speaking ability but also at the depth of his knowledge. This began his public career as one of the most charismatic preachers of all time. He was sent throughout northern Italy and southern France on spiritual preaching missions. Vast crowds soon gathered to hear him. He was known as The Hammer of the Heretics for his success in winning over converts. In 1224 he received a letter from Saint Francis himself requesting that he teach theology to his fellow friars. His tenure at the college of Bologna in 1225 was followed by a move to Padua. Anthony is credited with realizing the Franciscan school of theology. At Padua, he did much to alleviate the debt into which the common people were falling. The social economy was changing from an agrarian to a cash-based society. At Anthony’s insistence, the municipality of Padua passed a law that still stands today, in favor of debtors who could not pay their debts. Debt relief and the plight of the poor in the face of increasing wealth were major topics of Anthony’s speeches. It was difficult for the city of Padua to control the crowds of more than thirty thousand that would come to hear him, and he would frequently preach out in the piazzas and open fields. Luxury, avarice, and tyranny were the three vices that most troubled him. When he was asked to speak at the funeral of a moneylender he quoted the words of the Gospel, “Where thy treasure is, there is also thy heart.” He then told the mourners, “That rich man is dead and buried in hell; but go to his treasures and you will find his heart.” When his friends and relatives did as they were told, they found the man’s still warm heart among his coins–a powerful illustration of a central tenet in his teachings. Anthony’s speaking career was cut short, however, when at only thirty-six years old, his health began to falter. An asthmatic, Anthony found great relief in rural settings among nature and he made frequent trips to meditate at Francis’s hermitage at La Verna. A local count donated a woodland retreat for his use. One morning the count heard a child giggling and looked out to see Anthony surrounded in light playing with the baby Jesus. That Christ would choose to appear in this most vulnerable state to visit one of His saints is considered further proof of the goodness and kindness of Saint Anthony. Anthony’s death was the cause of intense public mourning and his swift canonization is a testament to the impact his great gifts had upon the very top of the Church hierarchy as well as the common people. He was declared a doctor of the Church because of his deep knowledge and ability to share it with others. The construction of his cathedral began immediately after his death, the people of Padua insisting that it be in the combined styles of Romanesque, Byzantine, and Arabic because Anthony is “everybody’s saint.” When his relics were translated thirty-two years later, his tongue was found to be perfectly preserved. It is currently on display in a reliquary at his cathedral in Padua. Though there are many older paintings depicting the many miracles of Saint Anthony, since the seventeenth century he has traditionally been depicted holding a lily and the baby Jesus. Usually there is a Psalter, or Book of Psalms, in the picture that the baby’s foot rests on. This is to show that Christ comes directly out of these writings. It is also the root of Anthony’s patronage of finding lost things. While at Bologna, when a departing novice borrowed this Psalter and attempted to leave the monastery with it, he was confronted by a terrifying devil, brandishing an ax who chased him back to the saint. Draftees invoke Anthony for a good number on the list, and since he did so much for the poor and those in debt, he is their patron. Because he holds the baby Jesus, women having trouble conceiving request his aid. 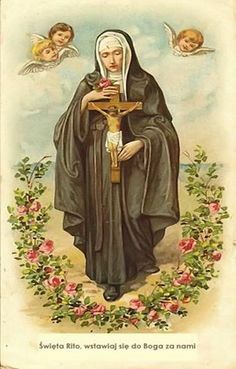 In Portugal and Brazil, his feast day is auspicious for marriages, and women seeking husbands will bury a statue of Saint Anthony until he finds one for them. They later free the saint when this is accomplished. 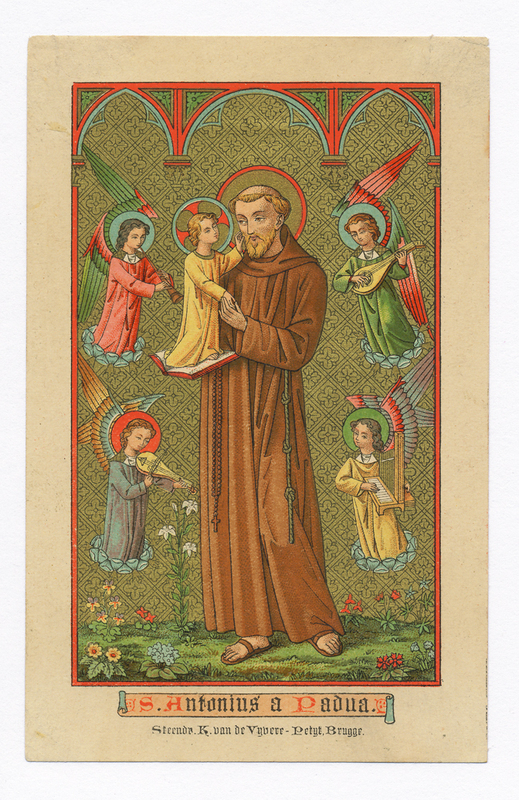 Holy Saint Anthony, gentle and powerful in your help, Your love for God and charity for His creatures, Made you worthy, when on earth, to possess miraculous powers. Miracles waited on your word, Which you were always ready to request for those in trouble or anxiety. Encouraged by this thought, I implore you to obtain for me [request here]. The answer to my prayer may require a miracle. Even so, you are the saint of miracles. Gentle and loving Saint Anthony, whose heart is ever full of human sympathy, Take my petition to the Infant Savior for whom you have such a great love, and the gratitude of my heart will be ever yours. Excerpt from Saints: Ancient & Modern, see ebook on amazon. Or pray with Saint Anthony on Novena app available at iTunes.